Copperhead Ag Products prides themselves in offering profitable solutions to challenges facing the modern day farmer. Our field experienced engineers have developed several profit producing products for your operation. 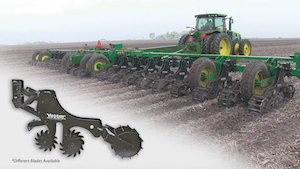 Planter operators can benefit from the use of our Furrow Cruiser(r) and Cruiser Xtreme spiked closing wheels, which eliminate sidewall compaction and promote even emergence of planted seeds. Gains of 4% yield per acre were seen on average last season. 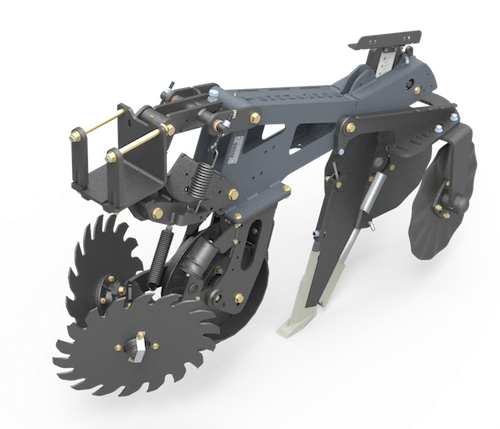 We also designed the Drill Cruiser and SFP Cruiser closing wheel for drill and air seeders. These products were developed over the last 4 years and have met with quick acceptance of those that drill beans and small grains. Lightweight and low draft, the Rapid Till is perfect for applying fertilizer (dry, liquid, or anhydrous ammonia) in the fall or spring. Able to travel up to 10 m.p.h., this unit can cover large acreages in a short amount of time — and because of its low weight and draft, it can even be utilized by smaller tractors! 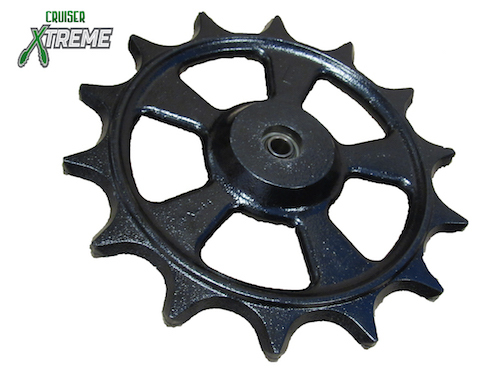 Each unit is designed with row cleaners and gauge wheels. Row cleaners are adjustable for height and width, allowing you to decide how wide of an area is swept clean. When adjusting for width, the front remains in the same relationship to the front coulter, ensuring a clean strip. Quality construction, ease of maintenance and excellent performance make the Rapid Till a smart choice for a wide range of farmers. 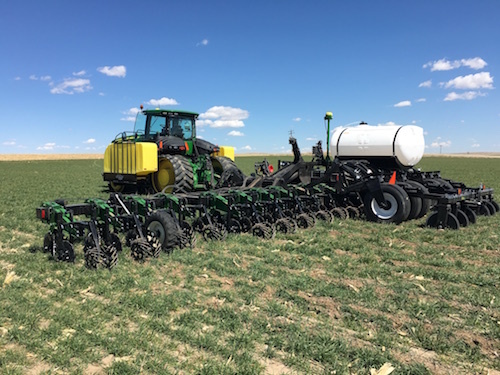 The TerraForge Series Strip-Till Row Unit creates an ideal and uniform seed bed while consistently delivering up to two fertilizer applications in a single pass. 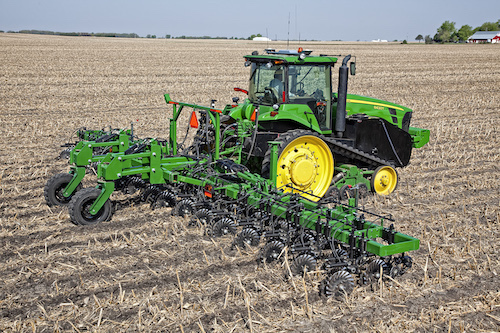 The robust and versatile design can be customized to meet any farmer’s needs. The parallel arm system accompanied with extension springs ensures constant ground contact in varying terrains while offering an auto resetting trip system to clear even the largest foreign obstruction. Pneumatic down force and large row cleaners remove trash, while turning slowly and not throwing trash into neighboring rows. Lower coulter assembly starts the berm building process by piercing & slicing the ground surface and creating a fracture point for the trailing coulter or shank. 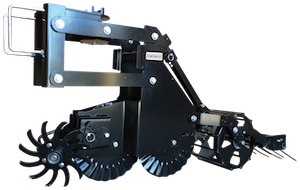 Rack & pinion shank design makes in-field depth changes quick and easy. Optional blow-out preventers prevent soil from boiling outside the reach of closing system, keeping soil in and trash out resulting in a uniform, well-defined strip. The closing system forms, seals, & builds an ideal berm by pulling the loose soil back into a consistent built berm. Optional berm conditioning systems finish the process by forming, shaping and sizing the berm into the perfect seed bed. The VISUM™ system provides you the peace of mind knowing that your dry-granular fertilizer is being applied at each row on your strip-till toolbar. When a row is blocked at the opener or if a meter is blocked, the in-cab monitor alerts the operator. 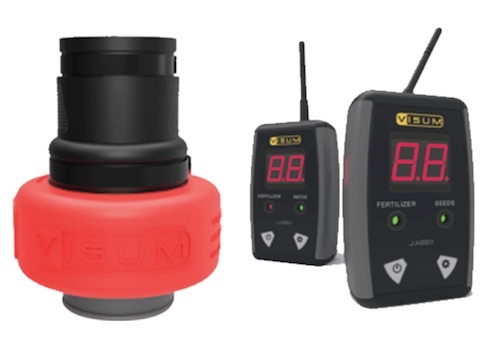 The VISUM flow-blockage monitor system is 100% wireless technology, and is fast and easy to install, with no modifications required to existing equipment. No cables to install. The sensors are weatherproof and maintenance free. Each sensor has a wear-resistant stainless steel liner. Click here to see our product video. 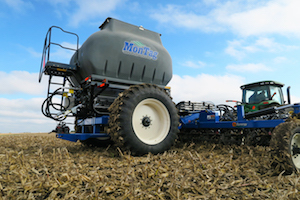 Hiniker 6000ST strip-till system includes a complete suite of strip-till components, allowing farmers to purchase anything from individual row units to complete systems including dry or liquid fertilizer carts. 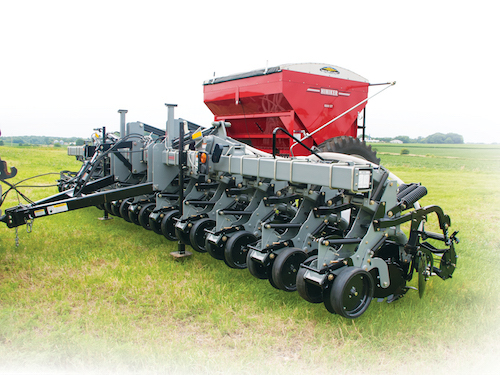 Hiniker row units are designed for heavy residue conditions and include an 18-inch cutting coulter surrounded by a pair of 16-inch gauge wheels, a pair of 14-inch row cleaners and a high-tensile steel shank with a chrome carbide point and a stainless steel fertilizer tube. A pair of 18-inch berming discs cimplete the package. Soil is fractured to a 5-9 inch depth leaving a excellent bermed seedbed.